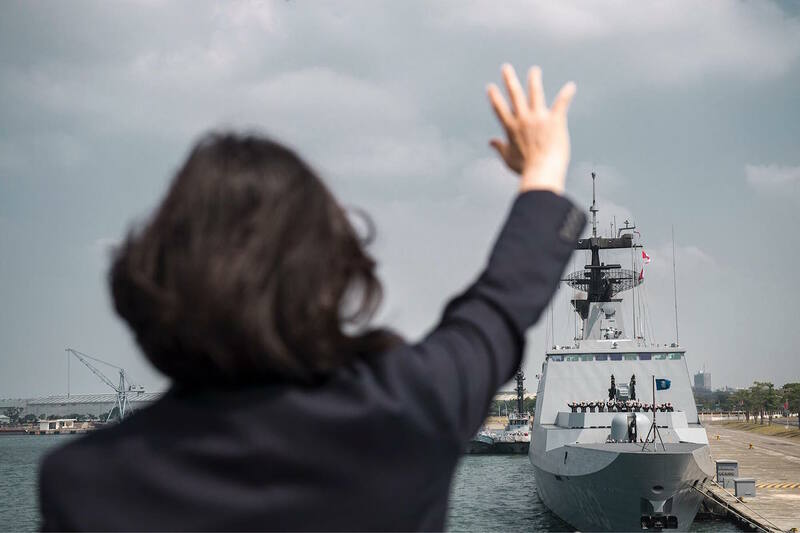 WITH THE ONE year anniversary of Tsai Ing-Wen’s inauguration, many are taking the opportunity to reflect on the successes and failures of the Tsai administration to date. Rather predictably, many such evaluations have split along the lines of those who would have defended Tsai anyway with the aim of shoring up her administration, irrespective of her actual performance, and more critical responses. Taiwanese politics are divided along partisan lines as ever. The challenges of the Tsai administration are both inherited from previous administrations and of its own making. The Tsai administration has, quite simply, not had an easy time of it because of the numerous need for wide-sweeping reform measures on many fronts. It has, for example, not been easy for the Tsai administration to simultaneously tackle pension reform, labor reforms, transitional justice legislation, to put forward a plan for infrastructure development, the KMT’s party assets, and putting forth a comprehensive infrastructure development program. It was due to the need for wide-sweeping domestic reforms in Taiwan that the Tsai administration was elected on the basis of calls for reform and change. The domestic challenges of the Tsai administration, however, are compounded by an increasingly complicated international outlook for Taiwan, with deteriorating cross-strait relations since her election, increasingly unstable relations with the US under Donald Trump, and other assorted issues. It is not surprising, then, to see the Tsai administration falter because, in many respects, the Tsai administration has too much on its plate to deal with. This would be a challenge for any presidential administration. 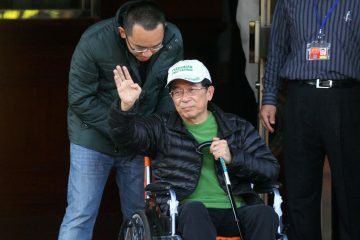 However, with the decline in popularity of the Tsai administration as indicated in recent polling, particularly among the young voters and members of civil society who helped her and the DPP sweep into office, many of these issues stem from the apparent inability of the Tsai administration to stick to a political line and follow through with it, whatever the political consequences, and its present inability to communicate policy in a manner satisfactory to the public. BECAUSE OF the many pressing tasks facing the Tsai administration, the Tsai administration was bound to provoke some blowback with its actions. But more often than not, the Tsai administration has tried to please everyone and, in doing so, pleased nobody. For example, labor reforms mandating one set day off per week and “one flexible rest day” in which workers could still be made to work, as well as the cutting of seven public holidays to compensate, led to protest from labor groups who demanded two set days off per week for workers in Taiwan and who raised the fact that Taiwanese workers already work some of the longest hours in the world. Following these protests, the Tsai administration indicated that it was willing to negotiate with labor groups, before big business leaders threatened to suspend all labor negotiations if the Tsai administration did not go through with its cuts to public holidays. The Tsai administration then reversed course and indicated that it was going to go through with cuts to public holidays and labor reforms with only “one flexible rest day” and one set day off per week rather than two set days off per week, strong-arming this through legislature using questionably democratic tactics. 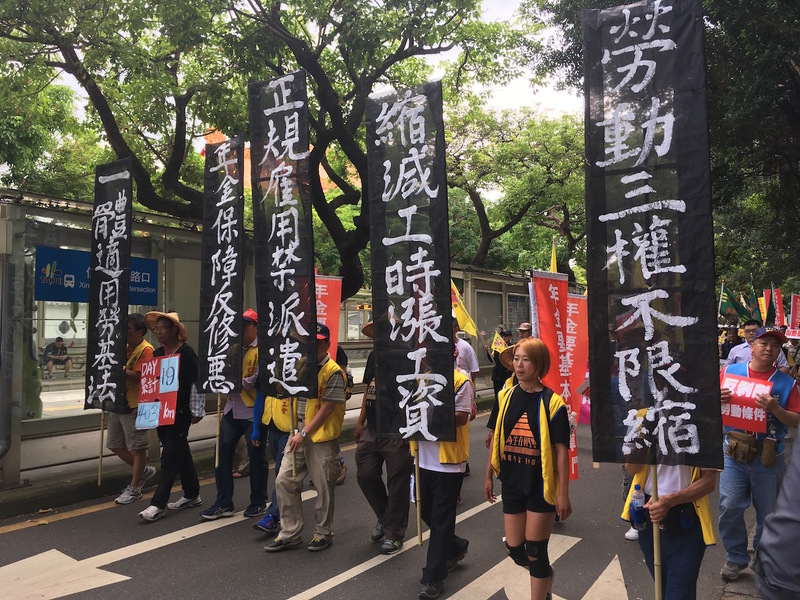 Yet, understandably, labor groups were angered by the Tsai administration’s flip-flops and big business leaders still felt that the Tsai administration had capitulated too much to the demands of organized labor. Again, trying to please both sides, and vacillating between the two sides led to anger from both sides. And the ambiguity which persisted for a long time regarding whether the Tsai administration was planning on going through with one set day off or two set days off per week, as well as whether it was going to allow cuts to public holidays or not, was disruptive of many industries in Taiwan and the lives of both blue collar and white collar workers. Obviously, it is that changes to labor policy stand to affect all members of society. The Tsai administration’s actions are not too surprising. Labor reforms would have provoked ire from either big business or organized labor. And the DPP has proved itself many times in the past to be a party beholden to big business, sometimes proving to be internally corrupt in a manner which does not really distinguish it from the KMT. Yet one imagines that if the Tsai administration had stuck to a line, any line, and gone through with it all the way, this would have minimized blowback. 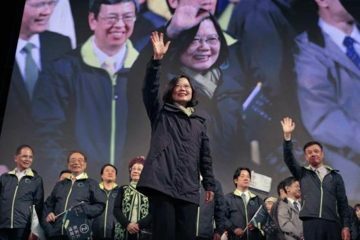 Very likely, due to the pressing need for reform in Taiwan, Taiwanese voters who voted Tsai Ing-Wen into office on the basis of her calls for reform and change were hoping for a clear political vision from Tsai. Yet vacillating on policy stances and in doing so causing large social disruptions leads to, at best, the perception of weakness on the part of the Tsai administration and, at worst, the perception of hypocrisy. Labor reforms, then, are the most striking example of how the flip-flopping of the Tsai administration has cost it dearly. But this is not only example. Indeed, at times, the Tsai administration opens itself up to the criticism that it has gone back on campaign promises altogether. Direct reversals of course by the Tsai administration are perhaps most visible in regards to the Tsai administration abandoning the fight for marriage equality in Taiwan, despite having made it a campaign promise that it would realize marriage equality. 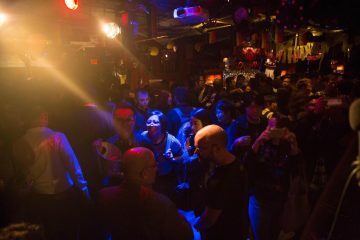 Namely, the Tsai administration backed down from marriage equality after large showings from Christian fundamentalist groups demonstrating against marriage equality, which allowed elements of the DPP which had probably never completely onboard with legalizing marriage equality to reverse course on the issue. Likely seeing the issue as one which she would have to expend too much political capital on in fighting out with elements of her own party and members of the public, as a result, Tsai backed down from the issue. But, of course, this has added weight to accusations that the Tsai administration has backed away from the progressive vision of social change it once offered. ON THE OTHER hand, the Tsai administration has arguably been most successful with the reform measures it pushed into law without any hesitation, such as legislation targeting KMT party assets. But as tied to the continual flip-flops of the Tsai administration, one can see why the Tsai administration has lost the support of much of Taiwanese civil society on the basis of its general failure to communicate policy effectively with society. 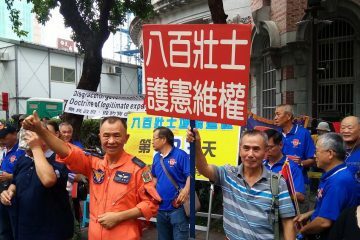 Against the claim that Taiwanese civil society is too maximalist in its demands, one can see how the criticisms of the Tsai administration by Taiwanese civil society indicate that Taiwanese civil society sees it as its task to provide oversight over any political administration, rather simply side with the DPP in a partisan manner. If the Tsai administration needs more time, this could be something it attempts to explain to members of Taiwanese civil society. However, the deterioration of the Tsai administration’s ability to explain its challenges to the public is also striking. In spite of highly effective messaging during election campaigning in appeals to young people, missteps and gaffes by Tsai administration officials have been unnecessarily provocative. 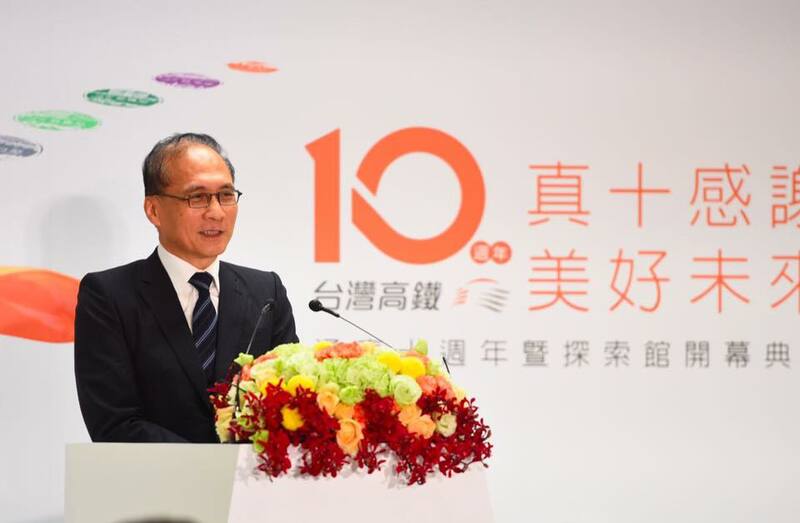 In many cases this comes from premier Lin Chuan or other members of Tsai’s cabinet through comments expressing a disdainful attitude for Taiwanese young people or otherwise an inability to understand the problems currently faced by young people. Lin Chuan, for example, recently provoked ire with comments suggesting that students should pursue interests instead of wealth because wage stagnation in Taiwan will not change anytime soon, leading to criticism that Lin would make such comments because Lin himself is not someone who has to worry about making ends meet, as an established government official. 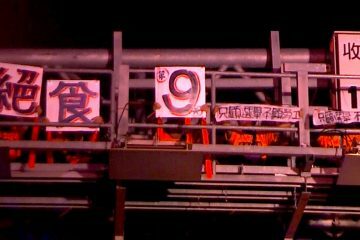 The gaffe-prone cabinet official Chang Ching-Sen has also provoked ire for scoffing at young people demonstrating against forced evictions in urban spaces, seeing as victims of forced evictions are sometimes compensated generously, and failing to see why individuals may be upset forcible evictions from homes they have inhabited for decades, over multiple generations. Both comments evidence a technocratic mindset in resolving social issues, a decided lack of sympathy for young people facing financial hardship, and a failure to understand why victims of social inequality have attracted the support of youth activists in recent years. Lin Chuan is sometimes seen as responsible for many of the missteps of the Tsai administration to date. Frankly, at the end of the day Lin Chuan answers to Tsai and sometimes Lin Chuan is blamed for the missteps of the Tsai administration as a way to preserve Tsai’s public image and avoid directly criticizing Tsai. Nevertheless, the Tsai administration has backed away from the idea of a cabinet reshuffle or replacing Lin Chuan, probably because of the view that this would indicate weakness within the Tsai administration. 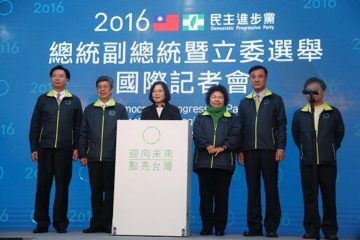 ALONG SUCH lines, the Tsai administration has inherited a number of historical tasks which it has address including transitional justice, its high-profile apology to indigenous peoples in Taiwan on behalf of the ROC government, and the issue of KMT party assets, it has only really been successful regarding the issue of targeting KMT party assets. When it came to issues regarding transitional justice, however, the Tsai administration probably did not want to push for fear that it would be perceived as politically persecuting the KMT. Many of the criminals of the White Terror period are still alive and may still be active in Taiwanese politics. As such, the Tsai administration has probably stuck to pushing for transitional justice for 228 Massacre because most of the criminals of the 228 Massacre are dead, passing this off as settling questions of transitional justice for Taiwan’s authoritarian period as a whole. In general, the Tsai administration probably wishes to settle longstanding historical questions in Taiwan in a manner which will not be disruptive to the functioning of government, even if this means doing as little as possible while passing this off as having accomplished great change. With its apology to indigenous people, for example, with the failure to restore land rights to the whole of indigenous territories, this has dissatisfied many indigenous groups. 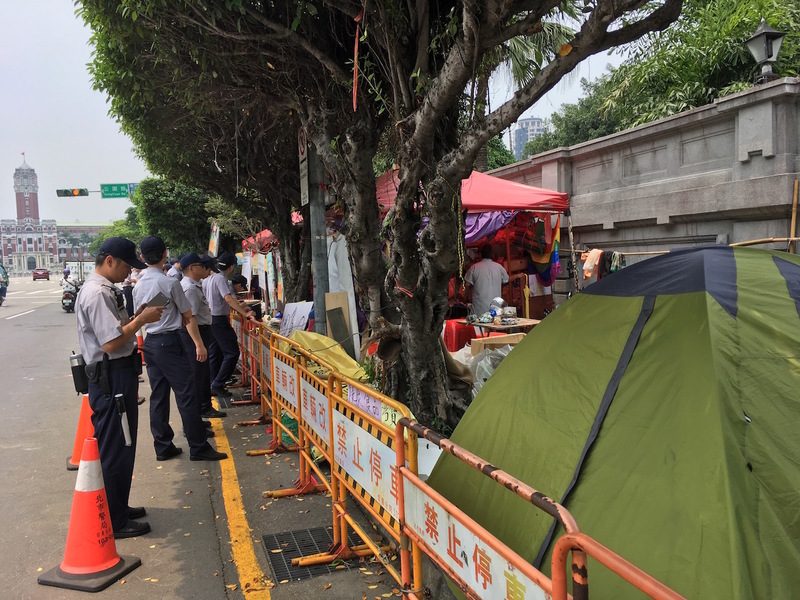 But the Tsai administration has largely ignored their protests, instead claiming that its apology to Taiwanese indigenous is enough, and that it has resolved the issue. This is telling about where the priorities of the Tsai administration were from the beginning with regard to settling longstanding questions of historical justice in Taiwan. WHERE INTERNATIONAL affairs are concerned, Tsai has faced a number of challenges, including worsening relations with China and the flip-flops of America under Donald Trump. Tsai avoided China’s attempts to force acknowledgement of the “1992 Consensus” out of her in her inauguration speech, while also avoiding breaking from the ROC framework, which would have led to angry reactions from Washington and would have also been controversial domestically in Taiwan. 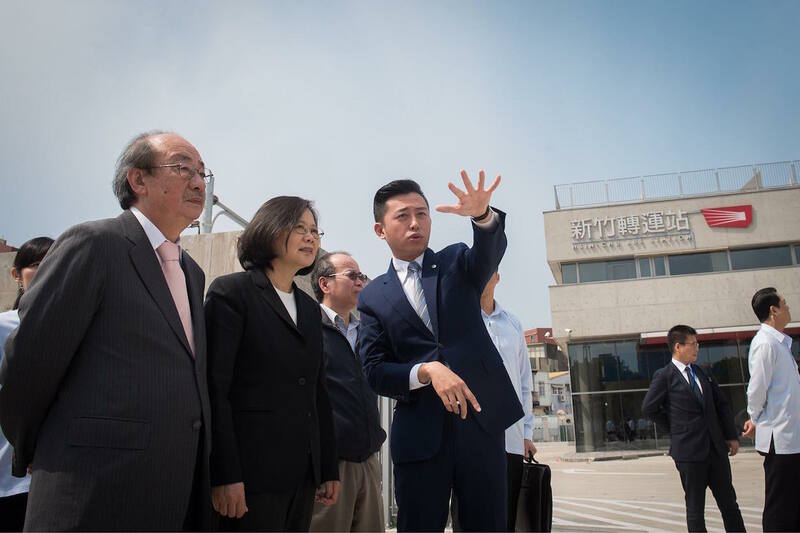 However, at the same time, the Tsai administration has been strangely hesitant about cases in which Taiwan would only benefit from playing a stronger hand. For example, the Tsai administration has failed to take up the case of detained Taiwanese human rights advocate Lee Ming-Che and largely been silent on the matter of his kidnapping by China. The Tsai administration has also taken a low-key approach in regard to dealing with Taiwan’s exclusion from international conferences such as the WHA. Taking a stronger stand on both issues could be a way to raise awareness of Taiwan’s plight internationally and, seeing as cross-strait relations probably cannot get worse than in the present, the Tsai administration has nothing to really lose. Very likely, the Tsai administration does actually fear provoking China a great deal at present, which is why it is sticking to its conservative line when dealing with China at present. This caution may be unwarranted. Likewise, while it was a coup for the Tsai administration to conduct a high-profile telephone call with then-president-elect Donald Trump, even if Trump eventually reversed course, the international outrage which followed also could have been beneficial in raising awareness of Taiwan’s plight. But, as with past Taiwanese presidents, the Tsai administration has been unable to find ways of appealing to the American people which would raise awareness of Taiwan’s plight. The Tsai administration will face continued challenges in regards to dealing with the instability of the Trump administration when it comes to the historic nature of US-Taiwan relations, which Trump may unpredictably break from in a manner either beneficial or detrimental to Taiwan. How the Tsai administration conducts relations with America going forward remains to be seen. IF WE CAN point to declining support for the Tsai administration and DPP among young people and rising support for the NPP in particular, which is capitalizing off the missteps DPP in order to win over more supporters within the pan-Green camp, it remains that the DPP is still the dominant party in Taiwan. Namely, whatever we can say about the poor performance of the DPP, the KMT does not provide any credible alternative at present, given its internal crisis and numerous scandals. However, this is not credit to the successes of the Tsai administration to date, except that this is demonstrative that there are no alternative to the DPP at present. And so, if no real threats to the DPP’s status as the ruling party appear to be on the horizon, this is simply by default. If the Tsai administration does not appear so progressive one year on, as it seemed during elections, perhaps we should never have expected as much. In cross-examining Tsai’s policy platform during 2016 presidential elections, Tsai’s policies did not differ substantially from her opponent, Eric Chu. 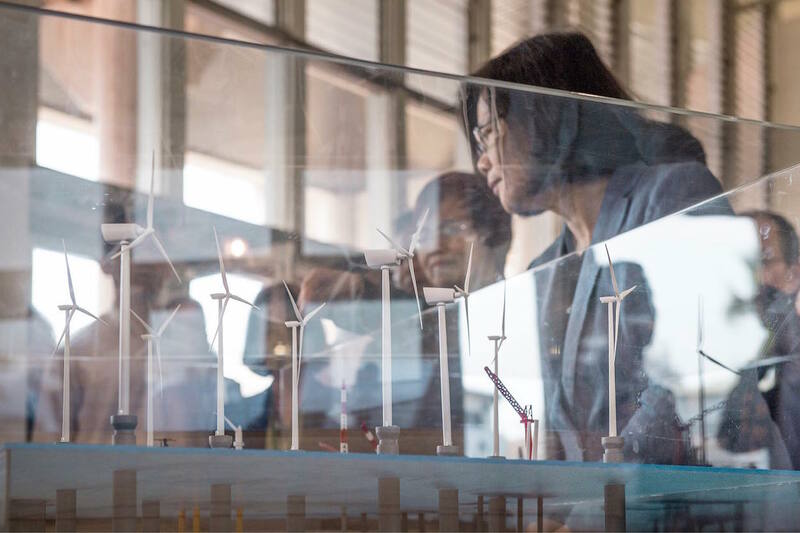 The Tsai administration sweeping into power on the appearance of being progressive when its policies, however, was useful in constructing an image of the Tsai administration which differed from previous presidential administrations. But the reality is that the Tsai administration was never so progressive as it attempted to depict itself as. The best chance of the Tsai administration to regain lost momentum would be to turn over a new leaf, as evidenced in a cabinet reshuffle, and removing much-hated premier Lin Chuan. This would allow the Tsai administration to turn over a new leaf and to recapture its image of credibility in the lead-up to 2020 presidential elections. Given it’s reputation for flip-flops already, this is not an issue the Tsai administration should decide to be irrationally stalwart about. The KMT will not gain any ground at present from an admission of missteps by the current administration because of its lack of any credible alternative. Nevertheless, we will see as to the actions of the Tsai administration in the future.